Alderney Wildlife Trust (AWT) has once again teamed up with the British Trust for Ornithology (BTO) and the University of Liverpool to provide the public with a unique glimpse of life in the British Isles’ most southerly gannet colony. Saturday 25th June saw the launch of the second year of the Track a Gannet (T.A.G.) 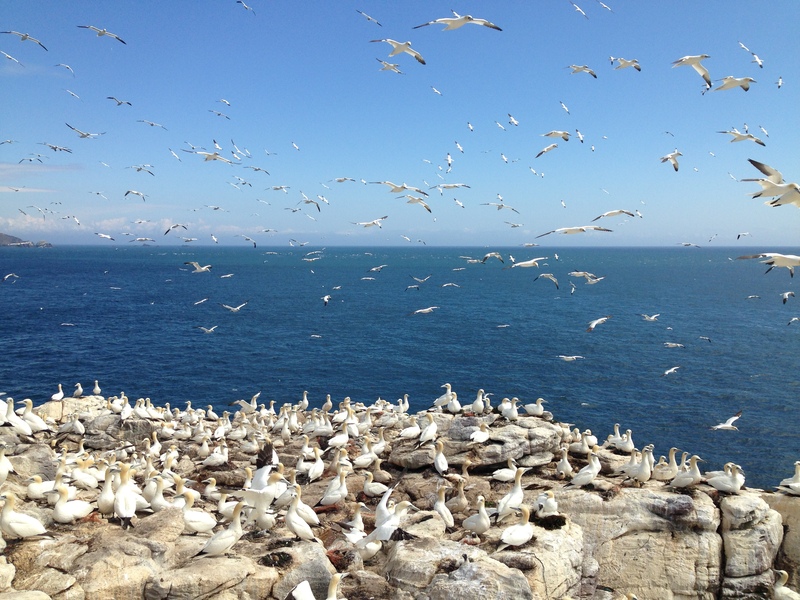 project – tracking the movements of Alderney’s northern gannets as they leave their colony to forage throughout the English Channel and beyond. The 12 tags deployed this year are on birds from the 5,600-strong colony of Ortac and will use the 3G mobile network to transmit data on the gannets’ movements as they forage for fish. See report on the project in 2015 here. 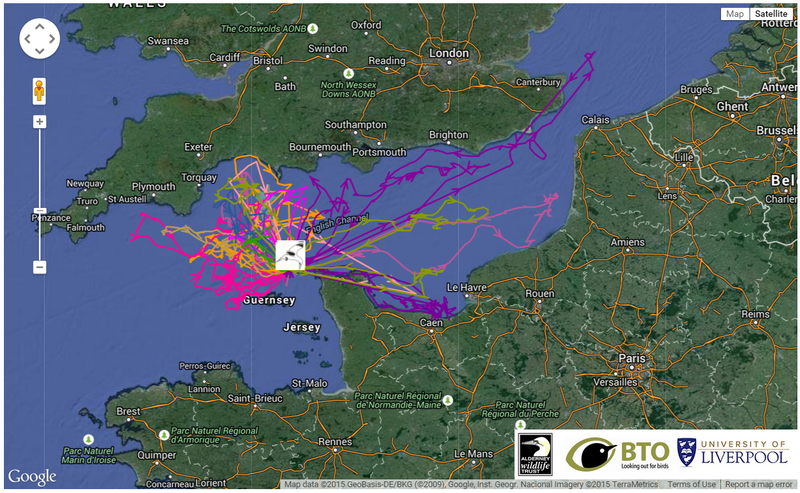 The map shows the movements of the 2015 tagged birds – many of the areas the birds pass through and directly feed in are potential sites for renewable development in the Channel. While the proposed energy developments for the Channel could go some way to providing a source of clean energy and reducing CO² emissions for the UK, it is vital that we understand both the positive and negative impacts these developments might have. The data gathered during the T.A.G. project will go some way to providing essential data on gannet movements and how it changes from year to year, helping the collaborative team best advise on the impact developments will have on biodiversity and paving the way for more in-depth studies on the ecology and health of the waters of the Channel. Northern gannets, the largest breeding seabird in the North Atlantic, are currently amber listed in the UK. Fortunately in Alderney the number of birds is increasing annually – especially important as the two colonies (approximately 8, 800 pairs) here make up over 2% of the world population. The longest single foraging trip from 2015 from a single bird was over 800km – a long way to go for a fish supper! This long-distance trip passed very close to several wind farm development areas, showing how far-reaching the effects of marine developments could be. T.A.G. allows the public to follow the movements of this charismatic species in near real- time as the tags, which are attached to the gannets’ tail feathers, send updates on movements for up to six weeks every time they come into contact with a 3G mobile network. The flight paths of Alderney’s gannets can be found here. For meaningful, usable data we aim to run the T.A.G. project for at least three years – the project has already contributed to one PhD and one MSc study and we hope this will continue in future. T.A.G. is coordinated by the Alderney Wildlife Trust in collaboration with the University of Liverpool, the Alderney Commission for Renewable Energy (ACRE), the BTO and local businesses and members of the general public who have sponsored and named birds themselves including Action for Wildlife Jersey. We are also delighted to say that T.A.G. 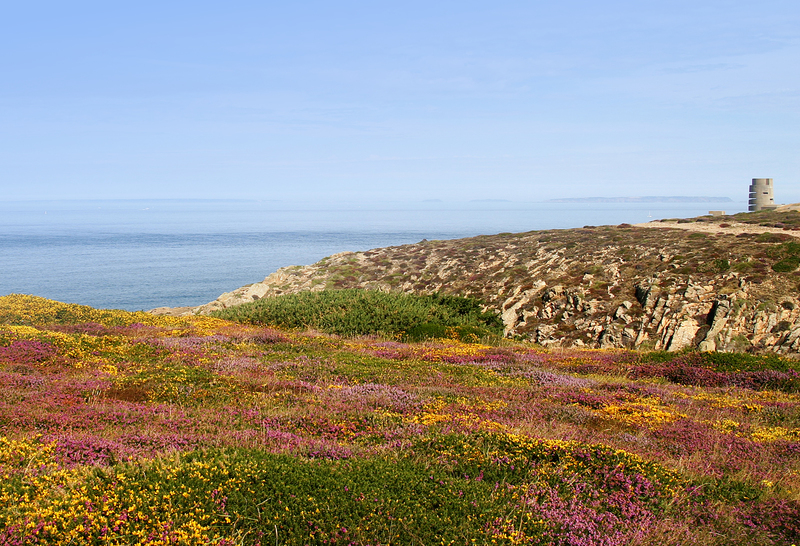 is the overall winner of the Channel Islands Insurance Corporation’s Conservation Awards. Not only has the prize money enabled us to deploy more tags but it also helps us raise the profile of the conservation efforts in Alderney within the Bailiwick of Guernsey and beyond. Roland Gauvain, AWT Manager, says “T.A.G. provides a vitally important long-term baseline for a key foraging seabird in the English Channel. Run entirely outside of the UK and EU funding process, it is dependent on the support of individuals and visitors here on our little Channel Island and the BTO and Liverpool University who have the foresight to support such a long-ranging project. Our thanks go out to our partners and we wait with baited breath to see what the birds are up to this year”! Dr Jonathan A Green, Senior Lecturer in Marine Biology at the University of Liverpool added “We are proud to be able to assist AWT with this innovative project that combines public support with cutting-edge science. T.A.G. provides an insight into the lives of this iconic species and helps us to understand their place in a rapidly changing marine environment”. 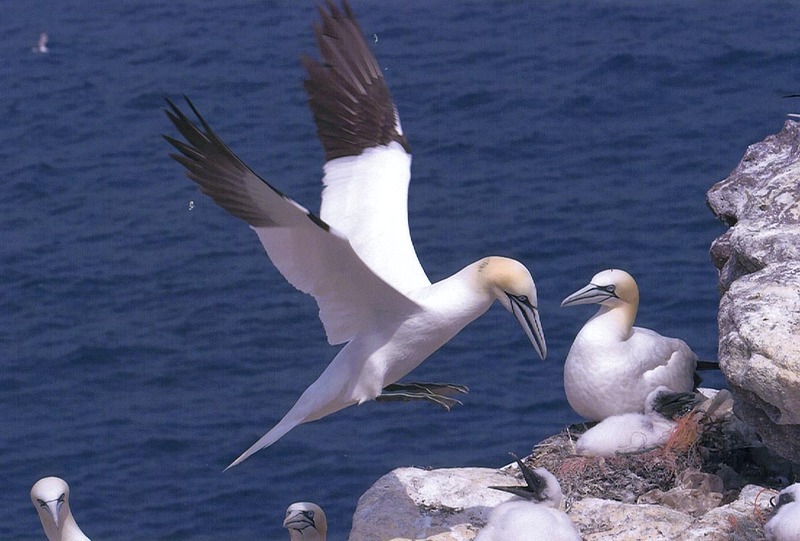 How to see Alderney’s gannets – For anyone wanting to see both the gannets and the tags first hand they can visit the new website here to see the live map, updating the movements of the gannets. The AWT also works closely with Visit Alderney to enable visitors to Alderney to get out and see Alderney’s seabirds by boat, especially the gannets, but also the largest breeding puffin population in the English Channel proper.